Minor Triads: learn the images, learn the feel. 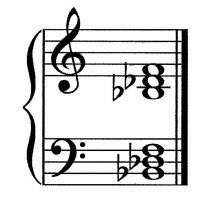 The most basic keyboard chords are the major and minor triads. 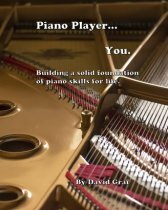 Every piano player will benefit from knowing all 24 of these chords and mastering them on the piano. 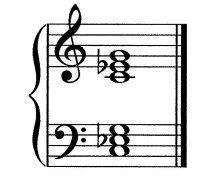 Theses chords in their most basic position on the keys, called "root position", should be as solid and dependable in the mind of the pianist as the alphabet is for readers, or as the multiplication tables for mathematicians. 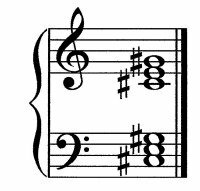 Whether you see the chord symbol on a page, or the chord's music notation, or the image on the keys, every major and minor chord should be as familiar to you as the numbers on a clock. The best way to learn and master them is to group them according to how they look and how they feel on the keys. On this page, you will find all 12 minor chords pictured on the keys, then in tablature, then on the music staff. Click here for the 12 major triads. 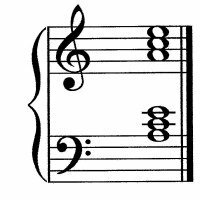 There are 3 minor chords which are white-white-white: Dm, Em, and Am (the little "m" denotes "minor" in most common chord symbol systems). 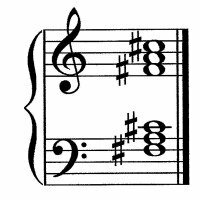 So, to learn and practice these chords, say to yourself, "The three white-white-white minor triads are: D minor, E minor, and A minor", while you play them with both hands. Do this for all of the groups. 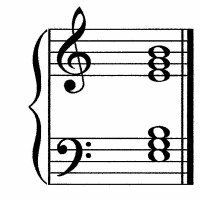 3 minor chords are white-white-white: D Minor, E Minor, and A Minor. 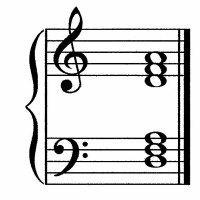 3 minor chords are white-black-white: C Minor, F Minor, and G Minor. 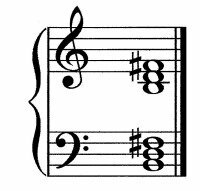 3 minor chords are black-white-black: C-sharp Minor, F-sharp Minor, and G-sharp Minor. 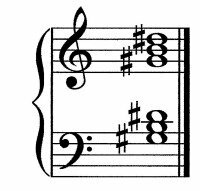 1 minor chord is black-black-black: D-sharp/E-flat Minor. 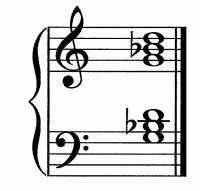 1 minor chord is black-black-white: B-flat Minor. 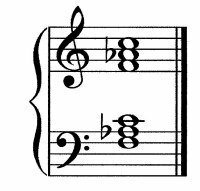 1 minor chord is white-white-black: B Minor. The White-White-White Minors: D, E, & A. The White-Black-White Minors: C, F, & G.